[dropshadowbox align=”none” effect=”lifted-both” width=”auto” height=”” background_color=”#ffffff” border_width=”1″ border_color=”#dddddd” ]This shop has been compensated by Collective Bias, Inc. and its advertiser. All opinions are mine alone. 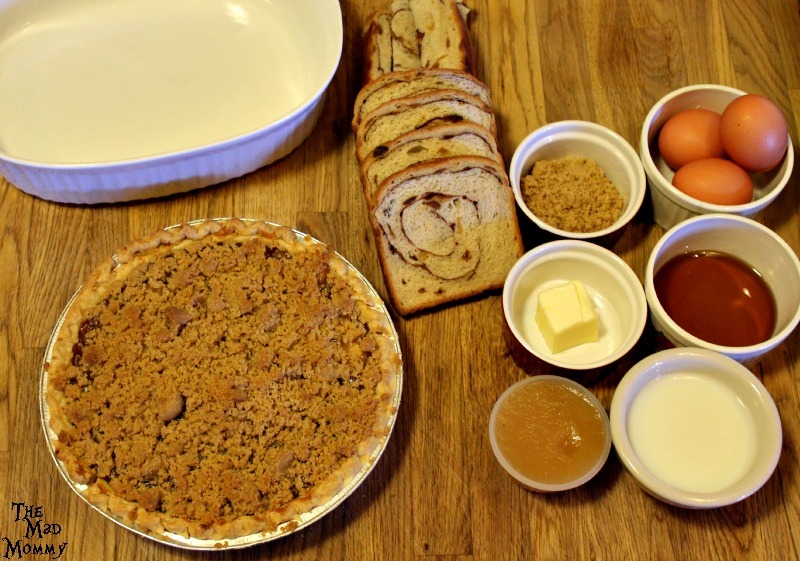 #ShareTheJoyOfPie #CollectiveBias[/dropshadowbox] People are the reason for this season! The holidays should be filled with gratitude, love, family, friends and food! Are you looking for a way to share the joy of the season with your friends, family or neighbors? Why don’t you #ShareTheJoyOfPie?! It’s as easy as dropping of a fresh-baked pie or providing a delicious reheat-able breakfast, like my Apple Pie Baked French Toast! While I was doing my weekly grocery shopping at Walmart, I picked up a couple of Marie Callender’s® Dessert Pies and some Reddi-wip®. These pies are so easy to prepare! All you do is pop them in your oven and bake them according to the directions on the box. The pies are amazing on their own, but I wanted to do something extra special for my family. I decided to turn this amazing Dutch Apple Pie into some AWESOME Apple Pie Baked French Toast and serve it for brunch. Here is what I used to make that happen. Now, simply layer the bread and pie into your baking dish. Bake in a 400 degree oven for 45-50 minutes and then, allow it to set for 30 minutes. Serve it up with some warm maple syrup and a dollop of Reddi-wip®! 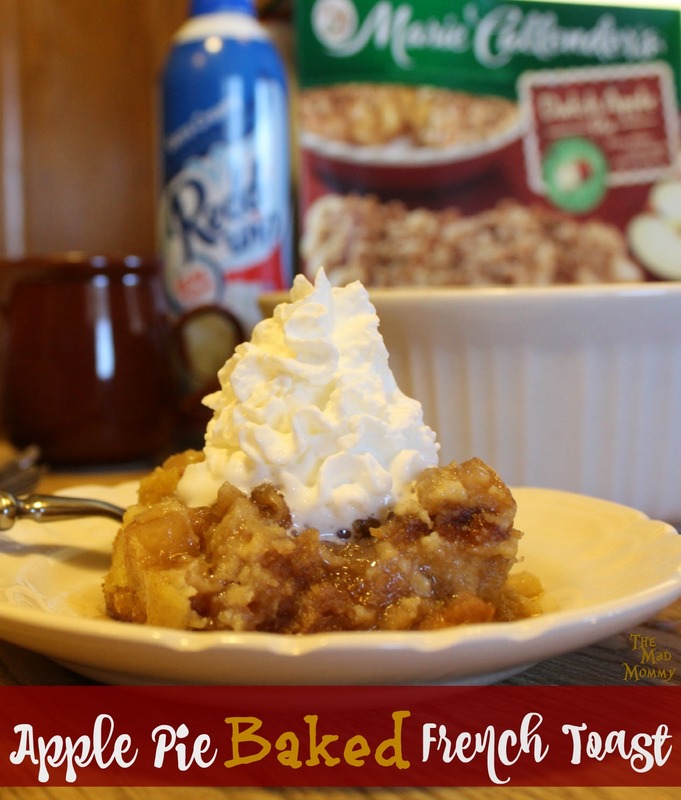 Remember, you can easily #ShareTheJoyOfPie by dropping off a fresh-baked Marie Callender’s® Dessert Pie or by baking this Apple Pie Baked French Toast in a disposable pan, printing out these Printable Pie Tags and encouraging them to #ShareTheJoyOfPie themselves! 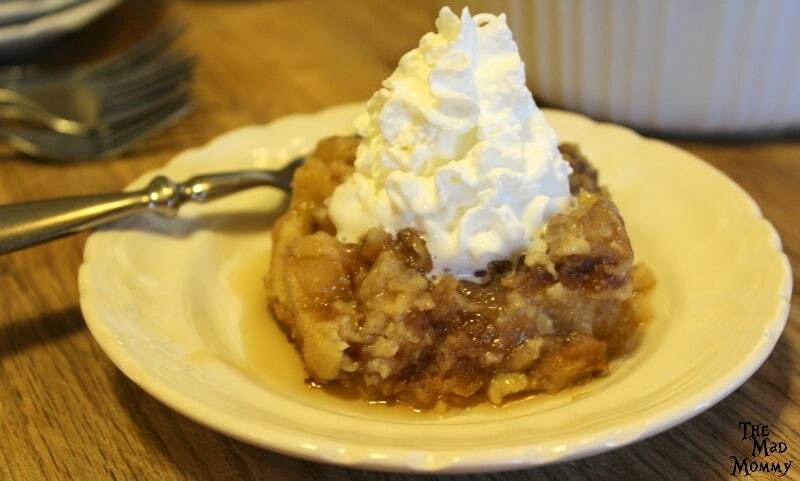 A delicious new twist on brunch and apple pie! Bake pie according to directions on the package and allow to cool. 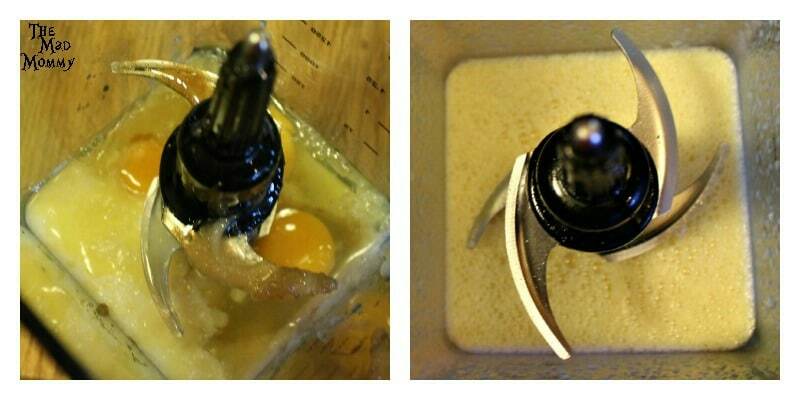 Combine all of your wet ingredients and blend thoroughly. Layer with bread and pie. Pour wet mixture over the top. Bake for 45-50 minutes and allow to set for 30 minutes. Serve with warm maple syrup and a dollop of Reddi-Wip®. I love pie! I eat it often. With whipped cream, of course! Sow! this is so interesting! I would have never thought to do this! I’ve done french toast bakes but this one is so great looking. I’ll have to try it out next time! Delicious! I would’ve never thought to do this! What a great way of using frozen pies! My kids love french toast so they would gobble this up! This would be a great recipe to make when family is over! Just throwing everything in a baking dish – less clean up! OMG! I could eat the whole thing right now! I love it!! You are an evil genius…. It truly isn’t the holidays without Reddi Whipp! Seriously though, we eat a ton of super decadent foods during the holidays (and why not, it is a time to celebrate) and we always put some whipped cream on it. I will definitely be trying out your french toast on a lazy Sunday morning. Looks delish! I love this idea for using a apple pie in a bake like this. French toast and apple pie are both a favorite of ours! I personally think this would be an amazing brunch dish for a Sunday morning. I just love Marie’s dutch apple pie. Hot and warm out of the oven with a couple scoops of vanilla ice cream and I am in heaven! I would have never thought of using a pie for french toast. It looks delicious. We just grabbed a few Marie Callender’s pies when we were at the grocery store and I never would have thought to do something as delicious as this! Can’t wait to give this recipe a try! I can’t even remember the last time I had pie. That pie looks delicious and easy to make. I bet I could make one of my own. I would add some homemade whipped cream to the mix. Wow! I must make this recipe for my dad ASAP! He is going to die in apple pie french toast deliciousness!!! Are you kidding me?!?!? This looks absolutely amazing!!! I can just feels the carbs settling in, as I know I would eat the whole thing. That’s just about perfect, isn’t it? I love the idea of #PieItForward. And my grandfather was such a fan of their pies that we almost HAVE to make them for the holidays in honor of him. I have to admit, I am not a very good baker, I don’t make complicate things from scratch, so from time to time I like to indulge with some pie. 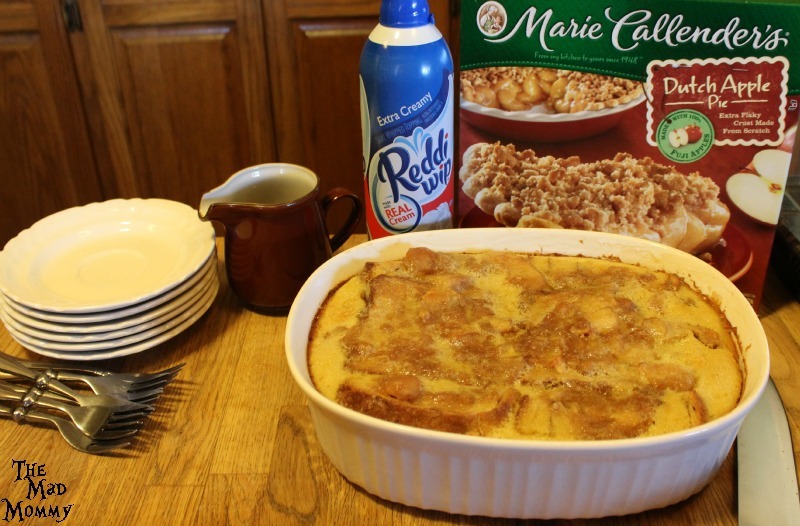 One of the best frozen desserts I have ever tried are the ones from Marie Calender’s, I swear those pies taste amazing. I like the spin that you gave to the Dutch Apple Pie turning it into that delicious Apple Pie Baked French Toast. I am sure it’s gonna be a hit for the holidays. OMG this looks insanely delicious!!! I’ll definitely be making this soon!! 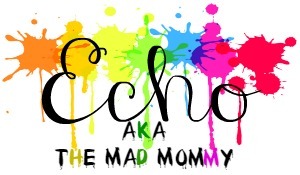 Thank you for sharing with us at #mommymeetupmondays!! I would have never thought to put those two things together. I am making a pumpkin french toast bake for Thanksgiving brunch. I hope it turns out as good as this looks, hahaha! Thanks again for sharing at #mommymeetupmondays. This looks delicious and I love whipped cream!